Strona główna > Fototapety>Tematy>Kosmos>astronaut with a flag on a new planet in the cosmos. 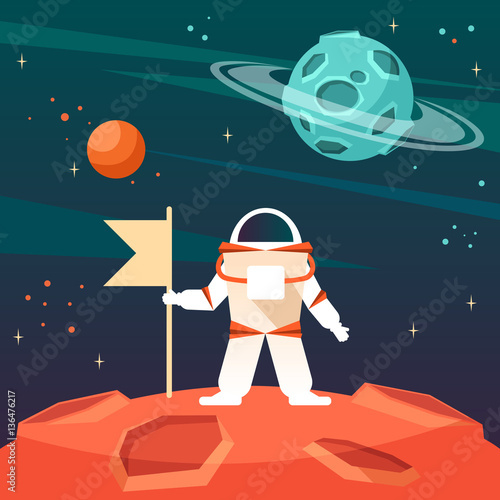 Fototapeta astronaut with a flag on a new planet in the cosmos. astronaut with a flag on a new planet in the cosmos.